What’s up y’all??? Welcome to Timeline Goldmines: blog post-addition! If you’re following my LinkedIn activity you’ll recall that my January Timeline Goldmine is published as an article. If you haven’t read it yet, I highly encourage you to do so, but the jist of the series is to recap various articles I’ve read throughout the month as a way to keep one of my New Year resolutions. For the month of February, I had the pleasure of summarizing a total of six amazing articles. Without further ado, here are three lightning-quick reviews of news you should know about. What do I know? They can be, what some might consider, unnecessarily expensive. What did I learn? Several large hospital systems are banding together to form a not-for-profit company that will manufacture its own drugs, or subcontract production, in an effort to expunge the current drug shortage excuse some big pharma companies are using to hike up the price of certain medications. Much of this deal is being kept on the down low so other companies won’t try to manipulate the marketing in advance. Final thoughts about it? Good for them! Honestly, that’s my only thought because staying alive shouldn’t be this difficult. What’s it about? 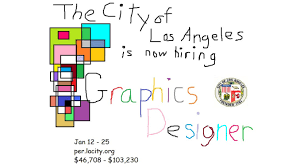 An open job with the city of Los Angeles. What do I know? My friend tagged me in the actual ad on Facebook. I’m still mad about it. Final thoughts about it? Really good PR and a classic stunt. I thought it was funny and a great way to get applicants. Those who wished to submit an application could have easily created a redesigned ad for the position; sending it with a resume and cover letter and subsequently requesting an interview. What’s it about? Millennials aren’t the worsts when it comes to phone use. What do I know? When it comes to the stats on phone use, not much. What did I learn? Millennials spend 6 hours 19 minutes on social media while Gen X-ers spend nearly 7 hours on social media. 42% of those interacting with television on Facebook were from 35 to 49; only 40% were millennials. Facebook, Instagram, and Twitter are the top 3 most used apps for all generations (in that order). Final thoughts about it? Hot dang we ain’t so bad! Millennials take a lot of flak for basically being the first generation to really embrace internet culture. So it’s kinda nice to see that in the end, it’s not us young ones obsessed with our phones. That’ll do it for this round of Timeline Goldmines. Remember how I mentioned there were six articles? Read about the other three on my LinkedIn page. Be sure to leave a comment on which topic you found most interesting and why. Free feel to share articles with me for a chance it to be featured in next months Timeline Goldmine.